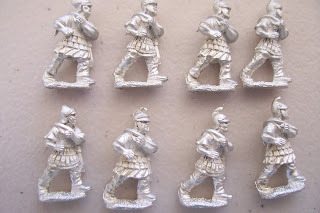 Hi guys here are some of the new Successor pikemen from 1st Corps (they have no photos, prices or lists on their site yet). 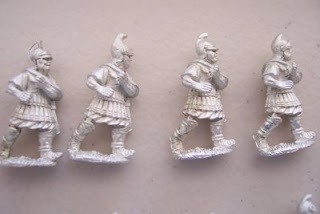 Kevin Jowett who is their Australian distributor brought these over the other day, I am impressed and will be getting a fair few (these are eastern style in trouser and later Macedonian/Ptolemaic). I had Kev send a few samples up to me as well. They are not too bad at all. However it is a shame I already have more pike then I require. 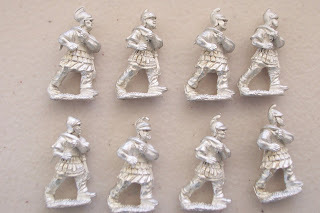 But I am interested in the later period light infantry. 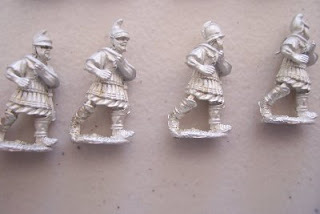 So might have to get a couple of units from him soon.